The Ford power stroke belt diagram is one that is hard to do without. In many cases my experience with putting on hundreds of belts makes it possible for me to figure it out on the fly. But when it comes to the Ford 7.3 liter power stroke diesel this does not apply. The many pulleys and drive accessories that are included on the power stroke engine make this a difficult task without having the proper belt diagram. Below I will include a picture of a common configuration used on this popular engine. Note the routing can change on certain years. often when there are drive belt problems they can be traced back to problems with the belt driven vacuum pump. In the large heavy-duty fleet company that I work for, we have several of these engines with well over 300,000 miles on them. It would seem that on average they would need a vacuum pump replaced about every hundred thousand miles. In some cases the belt driven vacuum pump had experienced catastrophic internal failure that actually seized the drive pulley causing the belt to burn up and jump off. Other things need to be looked at as well. When you’re using a Ford 7.3L power stroke belt diagram you can use it as a check sheet for inspection of each accessory before replacing the serpentine drive belt. Make sure that there is no other problems with the engine or pulleys. When the engine has high mileage you want to inspect each individual accessory to make sure that the pulley turns freely. The longevity of the power stroke diesel engine can sometimes outlast accessories such as the alternator by three or more times. Also you want to inspect the water pump to make sure that no coolant is leaking on the drive pulley. Any fluid including coolant on the drive belt can cause the belt to slip and also jump off. The tensioner assembly on the ford diesel engines is very stout but I have seen a few isolated incidents where the tensioner needed to be replaced along with the drive belt. 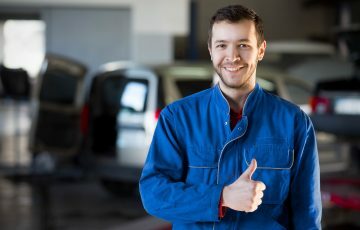 Ford makes an extremely high-quality serpentine drive belt and I recommend that you use this brand name when replacing it for maintenance reasons. You can visit the engine belt diagrams page for other engines that I have posted pictures for. Or you can return to the blog home page from this power stroke belt diagram page.